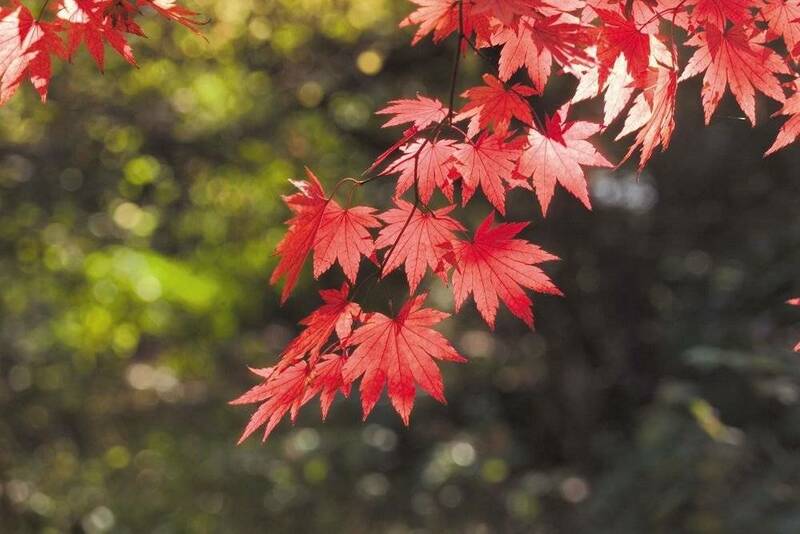 You are invited to Moutain Trek’s first ever Autumn Adventure Trek in stunning Japan. Congratulations, this is an exculisve offer to you, our loyal alumni. Join Kirkland on one of the world’s most ancient pilgrimages. 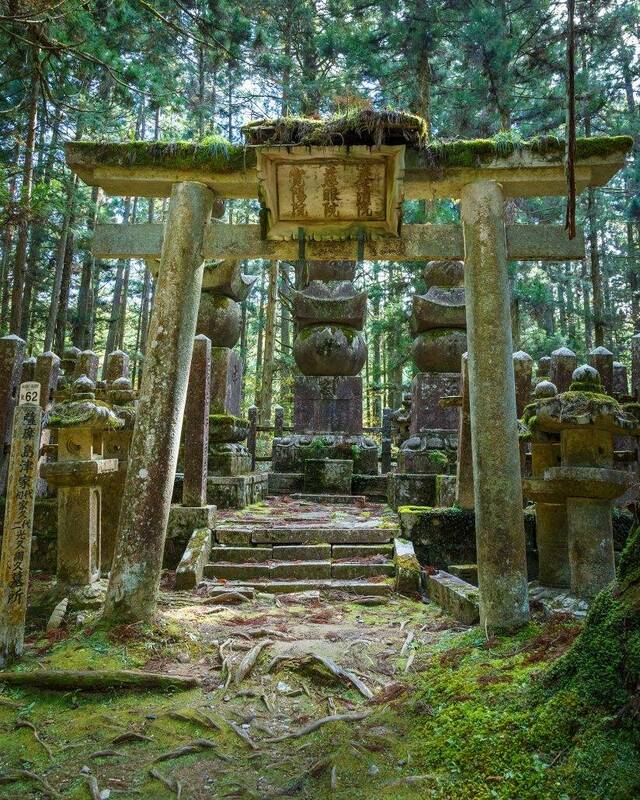 You will be hiking Japan’s most remote and rewarding journeys, the Kumano Kodō. This trek weaves through the mountainous Kii Peninsula, south of Osaka. 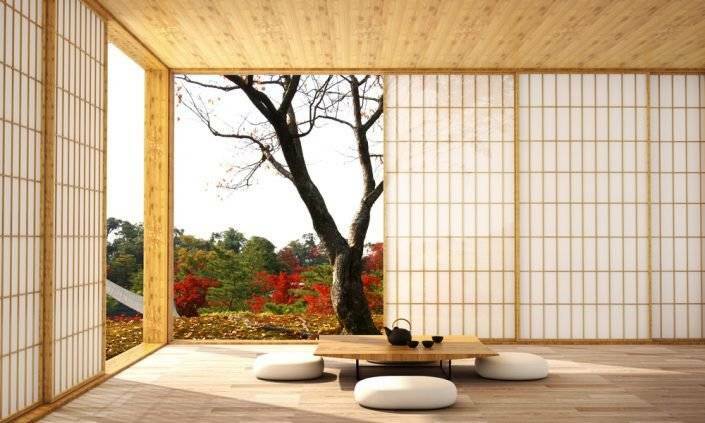 In ancient times this was a sacred pilgrimage reserved for emperors and samurai. You will be immersed into both the modern day streets of Osaka and into the traditional and remote villages of the Kumano region. 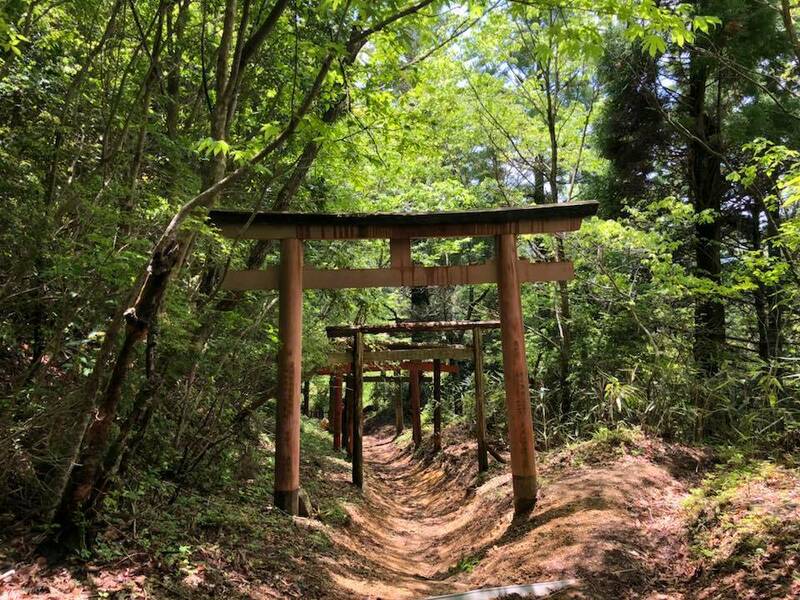 Hike the 1,000-year-old Kumano Kodō – one of only two pilgrimages in the world registered as a UNESCO World Heritage Site. Share your daily itinerary with your friends and family! Upon your safe arrival in Japan, you will meet Kirkland and the rest of the group at our hotel for a brief orientation. 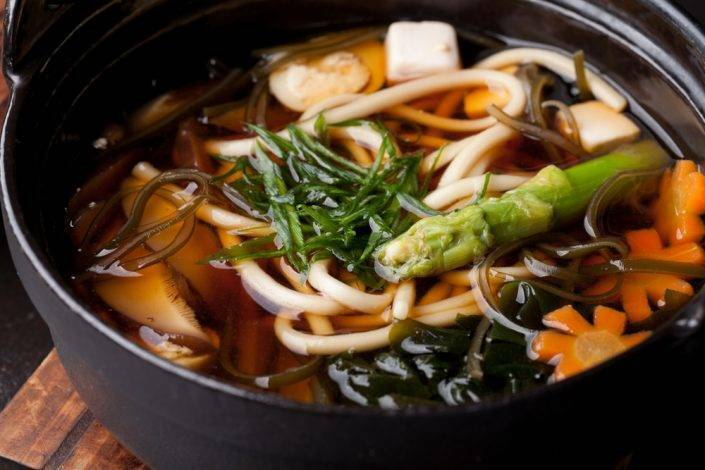 Afterwards, we will step out onto the exciting streets of Osaka to have dinner in a traditional Izakaya (tavern) nearby. After a good rest, a mid-morning start puts us on a train that winds through the countryside to the start of our walk at Tenri, briefly once the capital of Japan. 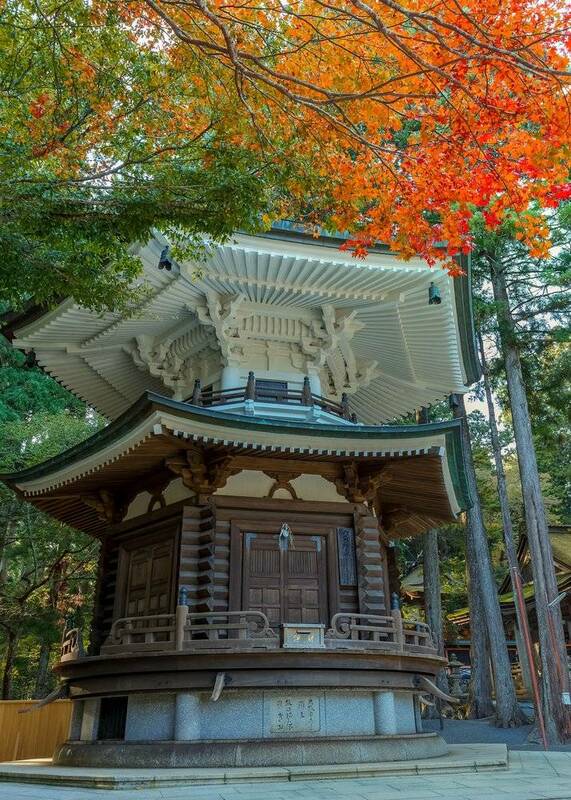 This historic town was built around one of the immense temples of Japan and his home to oldest extant Shinto shrines. Our walk today will take us over gently rolling terrain, past old temples and shrines, beneath 1000-year old burial mounds, and through little farm villages where the locals still sell their vegetables on little tables outside their homes, on the honor system. Return by train to our hotel for a brief rest, followed by a brief pre-dinner stroll brings us to the lively Dotombori area, offering insight into why Osakans are famous their love of fine food. Another charming train journey connects us to a funicular that creeps up the hill to save our legs a bit of work. Our hike today begins at a small temple once reserved for nuns, in the days when women couldn’t enter the temple town of Koya proper. 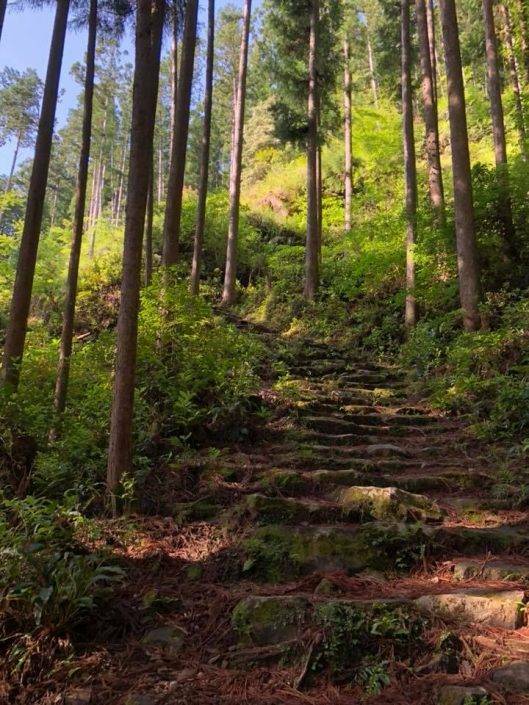 We’ll follow what is still know as the Women’s Route, along the ridge tops that define some of Koya-san’s eight peaks, thought to be the petals of a lotus flower. We’ll descend then into the heart of the lotus itself, to visit a vast cemetery that serves as resting place to many important Emperors and Shōguns in Japanese history. A walk through town brings us to our accommodation, a temple founded in 870, for a relaxing bath and traditional Buddhist meal. 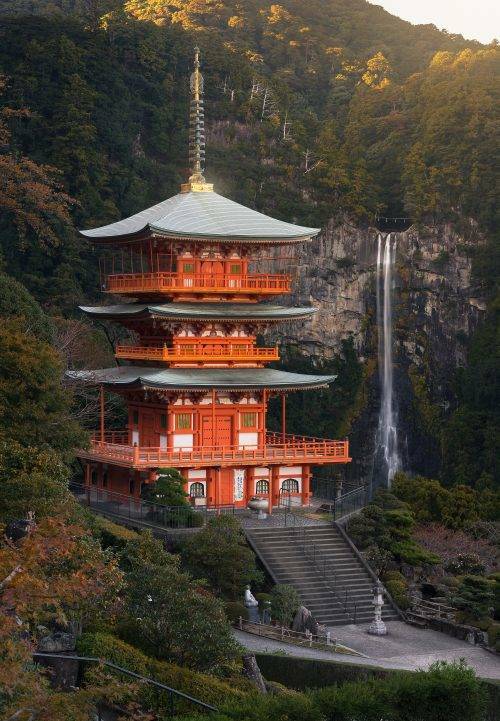 In the morning, we’ll visit the important Danjo-Garan temples before our dedicated vehicle takes us through the breathtaking mountainscapes to the Kumano region proper. 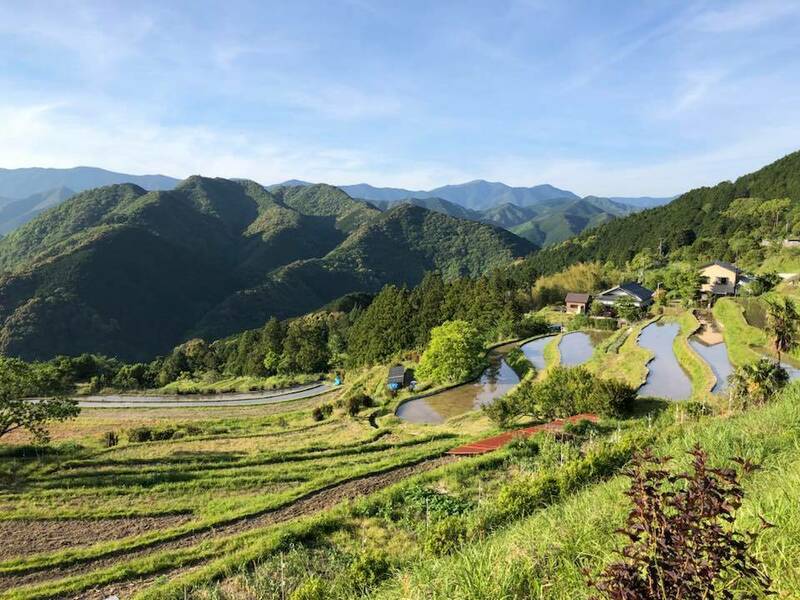 We’ll visit Kumano Kodo Visitor Center at the start of our walk, to learn a little more of the area’s history, as well as learn about its connection the other UNESCO World Heritage ranked pilgrimage, Europe’s Camino de Santiago. Our hike leads us to the secluded village of Takahara, where we will catch our breath, only to lose it again due to the stunning views. We go by private vehicle to Kawayu Onsen, our home for the next two nights. This hot springs town is famous for its river, on whose banks guests can dig out their own baths, the waters heated by the warm sand below. 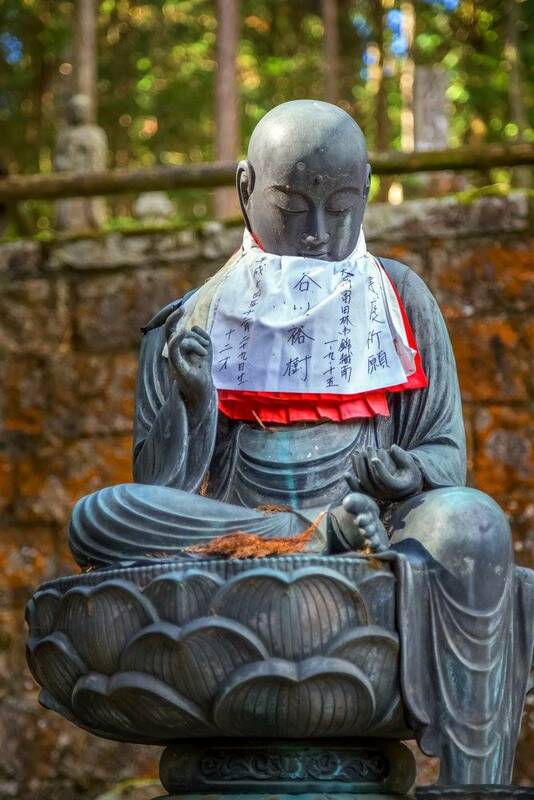 In the morning, we’ll return to Takahara and spend the rest of the day walking through quiet forests, over sections of cobblestone trail, and beneath the gaze of the Buddhist statuary that has been a prevalent feature of the Kumano pilgrimage for 1200 years. After a sit down lunch beside a small market that features locally grown delights, we’ll move through a pair of old villages that are in many ways the true gems of the pilgrimage, with their incredible ridge-top views, ancient trees, and local artistic flavor. Another full day of walking leads us along a series of villages and through more magical forest to the Hongu Grand Shrine, one of three important holy sites that constitute our pilgrimage. Those who wish can pay their respects at the Shrine, which serves as the central hub for the many pilgrim trails that radiate out across the peninsula. Our private vehicle brings us to the quaint coastal town of Kii-Katsuura, where after a short boat transfer we arrive at our inn, atop its own private island. 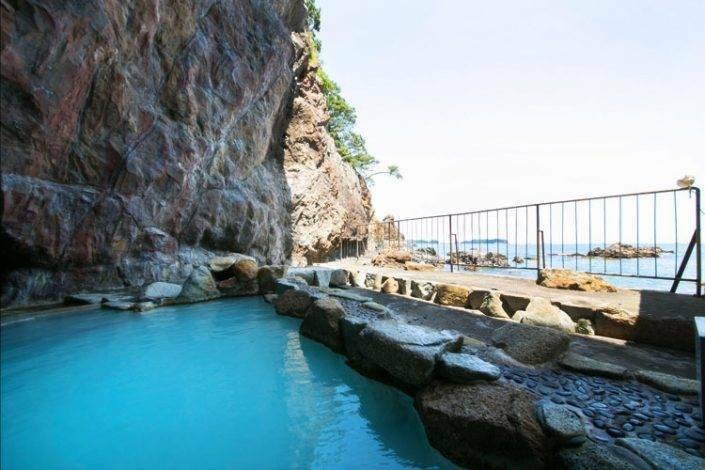 The baths here have been built into little caves, from where we can watch the waves as we enjoy a deep relaxing soak. A sumptuous seafood meal awaits. After breakfast we visit Kii Katsuura’s waterfront, home to Japan’s biggest tuna market. 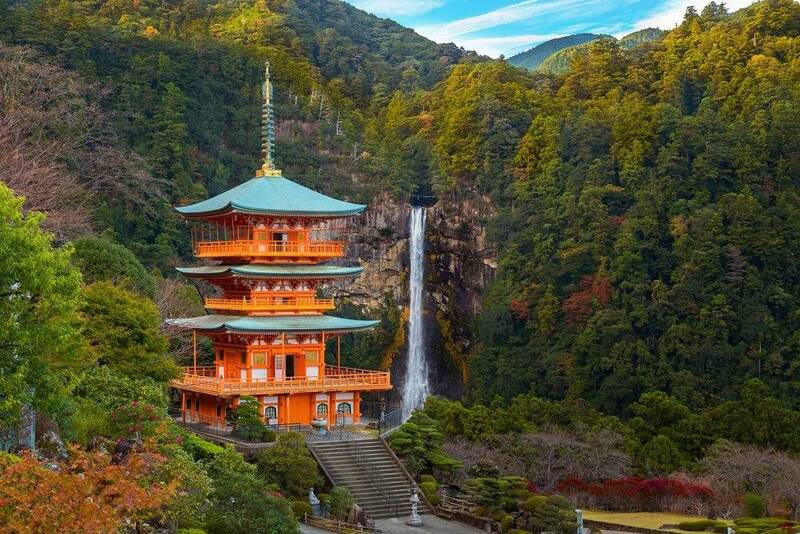 From there, our vehicle brings us to the Nachi Grand Shrine, widely recognized for its iconic orange pagoda and waterfall – look into this. We next descend the magical cobblestone trail of Daimonzaka to our vehicle, which will take us on to Hayatama Grand Shrine, the third of Kumano’s important sites. 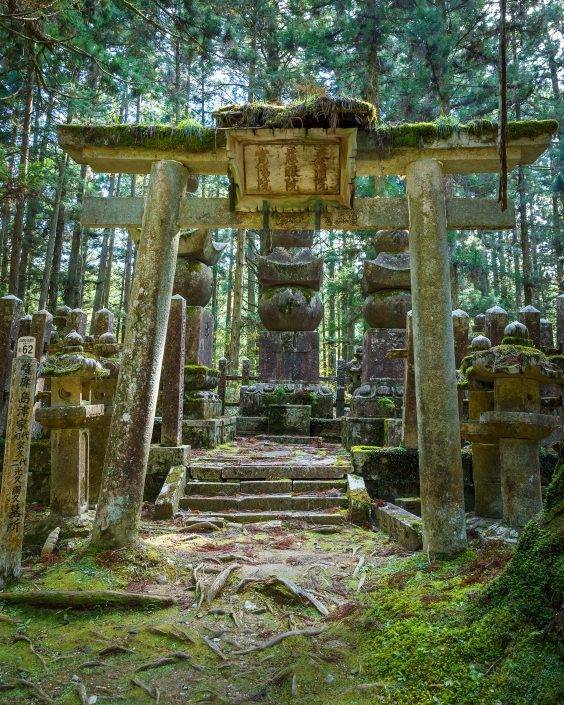 A short walk away is the mysterious Gotobiki Shrine. This ancient shrine is built into the rock face, and serves as a focal point for Japan’s Shugendo sect, the mountain monks who regard the wilder landscapes to be central to their practice. 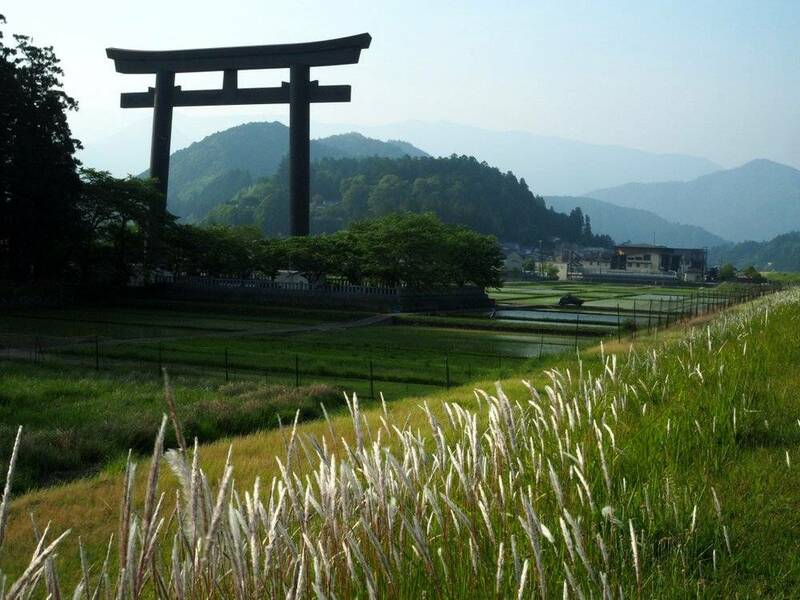 Our final transfer brings us to Ise, the home of Japan’s most important Shinto shrine. 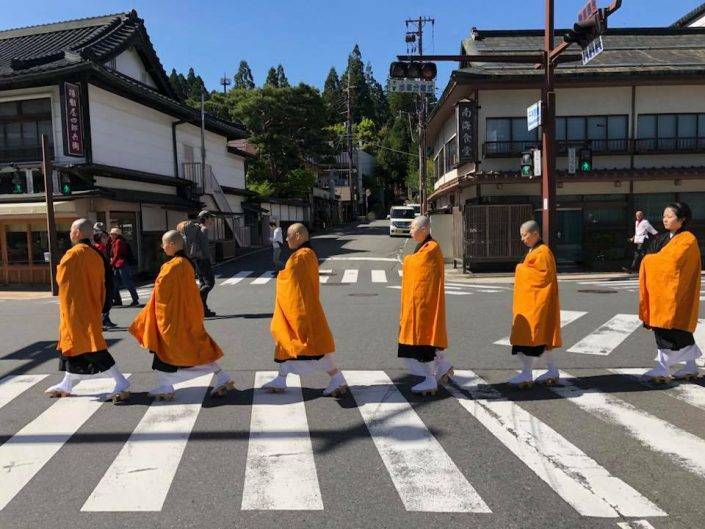 In the morning we will visit the Ise Naiku Shrine, before walking along another old pilgrimage route, to the inner Geku Shrine, past the old shops and inns that have been serving pilgrims for centuries. Finally, we’ll visit Okage Yokocho, a rebuilt feudal pilgrimage town, to enjoy lunch and souvenir shopping. Afternoon trains lead us onward, or toward home. Massages will be available on a first-come first-serve basis. 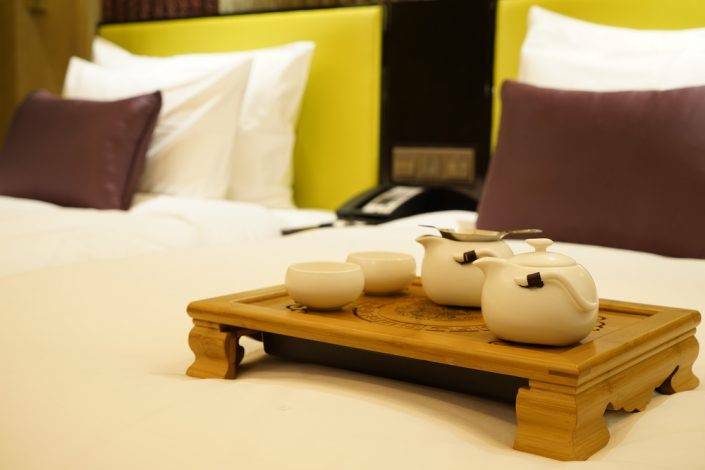 Please contact the hotels directly to book your services. Below are the dates and the contacts for the properties offering massage. Daytime temperatures will be warm (16-20°C or 61-68°F) in the lowlands. On the higher passes you can expect it be cooler (8-14°C or 46-57°F). The evenings and nights will be cool to cold temperatures (4-12°C or 39-54°F). Historically there is not much precipitation in November in Japan, however we should plan for one day of rain or maybe more as it has been a strange weather year this year. 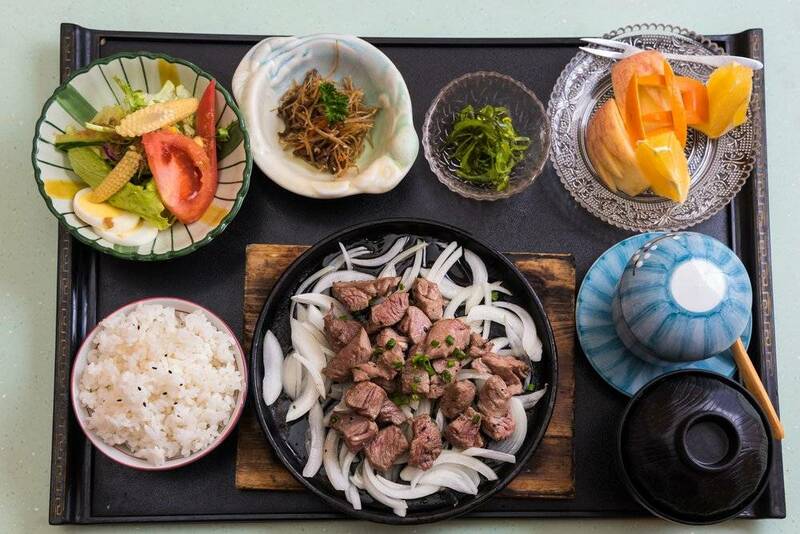 Upon your arrival in Japan you will make your way to Osaka and to our first hotel. 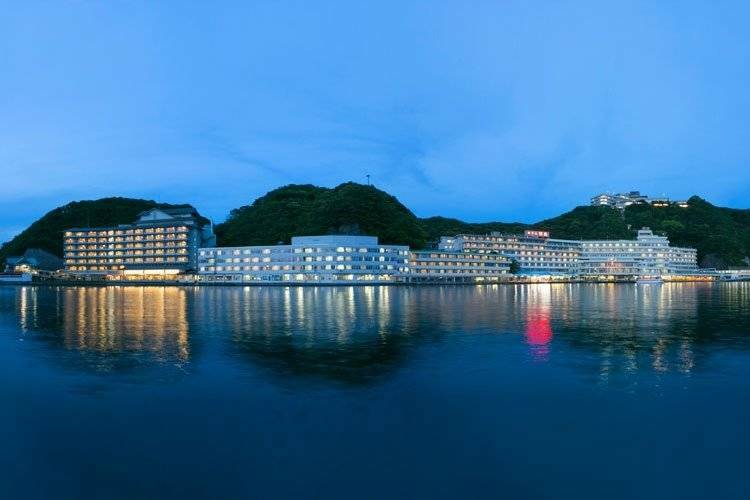 We are encouraging you to fly into the Kansai Airport (KIX) for ease, however transport from Tokyo is also an option, although maybe best suited for those with an adventurous spirit. FROM OSAKA KANSAI AIRPORT: After customs, ascend escalators to second level and follow signs over the road to the Nankai train line. This is very clear and well marked. The Nankai Express Train takes 44 minutes and is end to end right into the Nankai Namba station, which is at the base of the hotel. Follow the signs for three minutes to the hotel lobby. FROM TOKYO NARITA AIRPORT: From Narita Airport (NRT), you will want to take the Narita Express Train to Tokyo Train Station, then change to the Shinkansen Bullet Train to Osaka. This sounds complex but we can assure it is pretty straight forward. You will change to Midosuji subway to Namba and to the hotel. FROM TOKYO HANEDA AIRPORT: From Haneda Airport (HND), you will take the trains go to Shinagawa Train Station. At Shinagaway Train Station you will change to the Shinkansen Bullet Train to Osaka. Once more you will change to Midosuji Subway to Namba and to the hotel. Again, Kansai Airport is the preferred choice and we encourage you to book your travel direct to Osaka.